"A Trusted Resource for Organizations forming Business-Side Business Architecture Practices." The Institute is led by an Executive Director supported by a small group of directors. It receives guidance from several advisory boards. They are the eyes and ears and ambassadors of our organization. The Executive Director is aided by an editorial board and by the Fellowship of the organization. This board is comprised of seasoned organizational leaders, the de facto “clients” of Business Architects. This board helps to define the needs that Business Architects serve, and the patterns of engagement appropriate for the profession. This board is peopled by administrative leaders of prominent institutions, and thought leaders within the academic community whose body of work parallels that of the Institute. This board helps to identify and facilitate the rigorous empirical research necessary for Business Architecture to be accepted as a practical business school and public administration discipline. Our ultimate goal is for Business Architecture to become a required core course within every MBA program. This board is peopled by talented, experienced Business Architects working both within organizations and as outside advisors to senior executives. 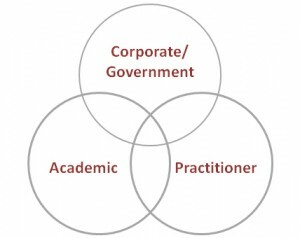 The Practitioners help us to form our policies and recommendations in response to the needs of client organizations and in adherence with accepted academic principles as they apply to the professional practice of Business Architecture. The Editorial board collects and approves the content displayed on the Institute website, in its publications, and endorsed by the Institute. Approvals are based on consistency with the principles of the Chicago School of Business Architecture’s school of thought, and the extent to which they aid in advancing the profession of Business Architecture. Paul Arthur Bodine and Santiago Cortez have been appointed to this Board. Talented authors, thought leaders, educators, and practicing Business Architects are specially chosen to become members of the Fellowship. Their general body of work has helped to advance the profession, and individual works may be included in Our Famous Library. We highly recommend you befriend these important voices and engage them in conversation.